What was that in dad's Capri Sun juice pouch? A guy in Indiana is upset that he found mold in his child’s Capri Sun drink. Honestly, the stuff floating in the drink is probably safer than the ingredients. 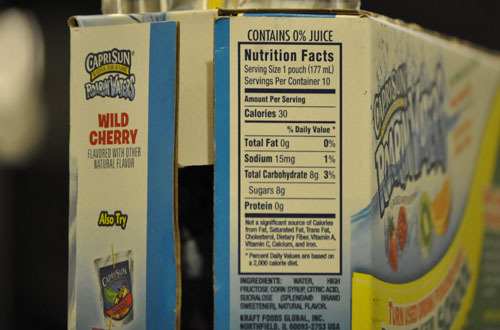 Many parents buy their children pouch drinks for school lunches, field trips, or sports games. But all of us know those aren’t the best option…we all know that drinking water is the best option. With that in mind, manufacturers have now begun producing “flavored water” drinks. Unfortunately, these really aren’t any healthier. 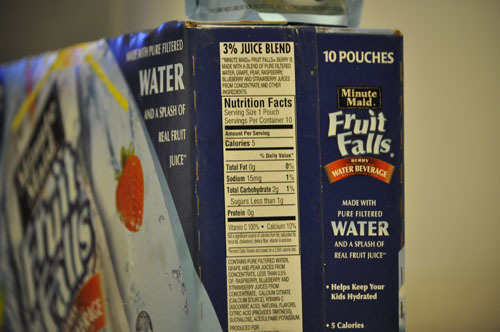 I looked at two different brands of flavored water pouches: Minute Maid Fruit Falls and Capri Sun Roarin’ Waters. Of the two (and I’m not saying either one is actually healthy), Minute Maid is better than Capri Sun. It always makes me nervous when I see “Natural Flavors”…I mean, seriously, you’re supposed to be listing the ingredients here, and the term “Natural Flavors” doesn’t tell us a thing! Sucralose is a sugar substitute, like Splenda. These aren’t good for our kids either; artificial sweeteners contain Aspartame. Here we have the worst culprit of all, high fructose corn syrup. It’s one of the biggest contributors to heart disease and obesity! Then we have the sucralose again, and the phrase “Natural Flavors”. Well, as you can see neither option is healthy at all…sticking with good old fashioned drinking water is your best option.